My role at Barlow Robbins is to head the Commercial Property team in our Guildford office. I have worked as a property lawyer for over 15 years building up technical know how and wide connections with property professionals both locally and further afield. My work usually involves one or more of the following: sales and acquisitions, commercial leases; development work and property finance. I deal with a wide client base from local independent retailers to investment landlords and from property developers to banks, which means I am able to see transactions from various perspectives. I take the time to get to know my clients and their businesses so that I can understand their priorities and concerns. I don't stand on ceremony and have always found that a no nonsense approach gets the best results. At home I enjoy all kinds of sport including rock climbing and triathlon. I have a sense of adventure so like to travel as often as I can. Otherwise I am kept busy with my lovely children. Jo Farr applies "a commercial mindset and offers solutions where required" and is described as "considered, practical and approachable" by sources. 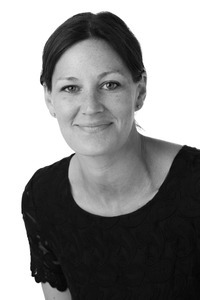 She advises on a wide variety of matters, from refinancing issues to retail property transactions. "Jo Farr is a highly regarded property finance expert."